Remove the heat, maximize your engine performance, and add a little flair to your Jeep's exterior with this Performance Vented Hood kit from Rugged Ridge that combines the function of the Performance Vented Hood and the aggressive off-road style of the hood vents. 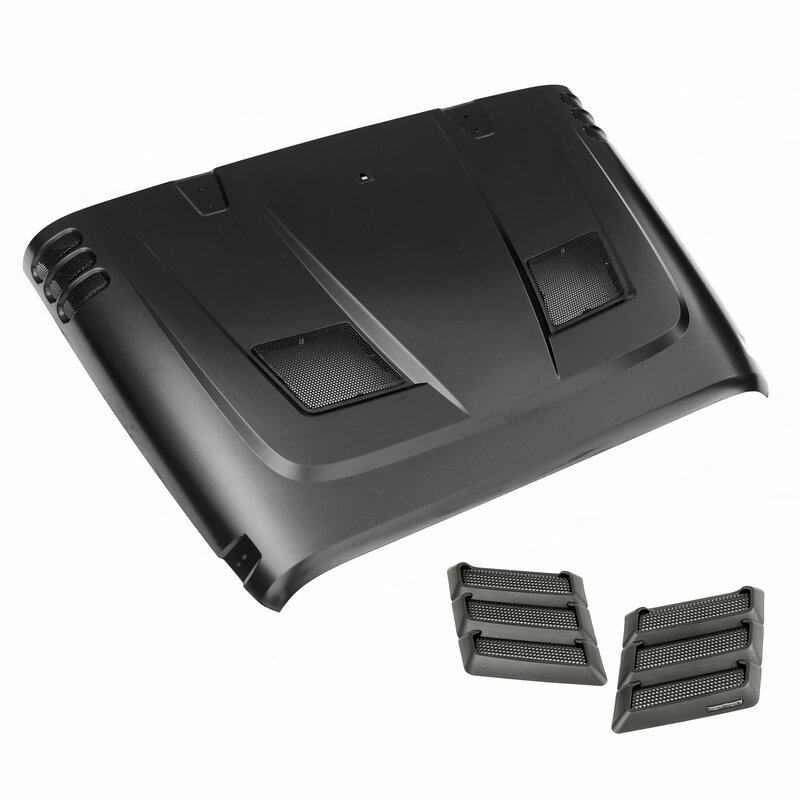 Made of stamped steel and a factory inner core, the Performance Vented Hood fits like the original yet allows more heat to escape from the engine compartment than other hoods on the market today. The SRT inspired design gives a great aggressive look. Vents are removable to make it easier to paint. Uses factory attachment points and more aftermarket accessories will simply bolt into place. Got heat? You need this kit!